Here is the clssic and complete "how to" guide for creating quality diffusion bonded mokume gane. Using tools you probably already own, Midgett takes you through the process he developed and shows you how to make beautiful mokume gane on a small scale. 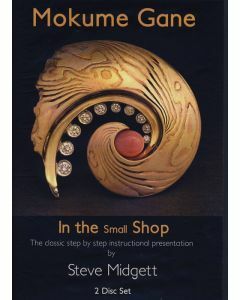 Sections include cover appropriate metals for mokume, diffusion theory, and building what Midgett call the $10 Gas Kiln. 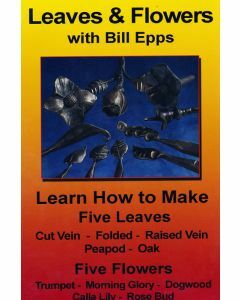 Also demonstrated are step by step instruuctions on laminating a mokume billet, making it into sheet and a variety of pattering techniques. Bobby Hansson is a photographer, filmmaker, tinworker, blacksmith, author, and teacher. For fifty years he has brought his unique and quirky whit to his wide range of endeavors. 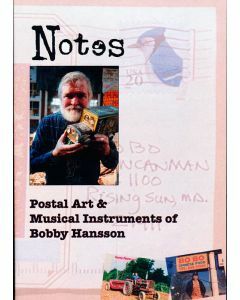 This DVD includes an overview of the man and his work, along with more than 300 embellished envelops by Bobby and his friends, interviews, musical instrumentsm and a general introduction to Hanssonology. 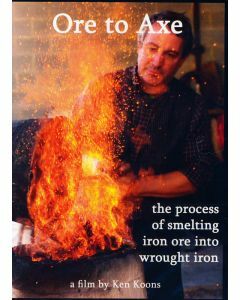 This documentary film details the process of smelting iron ore into metal and then forging it into an eighteenth century-style axe. 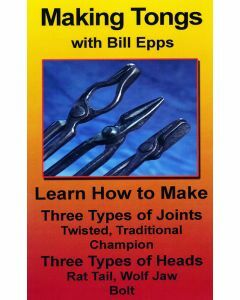 These blacksmiths demonstrate every step in the centuries-old bloomery smelting procss. 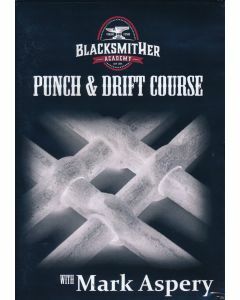 Blacksmiths Shelton Browder, Ken Koons, Steve Mankowski, and Lee Sauder take you on the journey of finding ore, making charcoal, building a furnace, smelting the ore to iron, converting the iron to steel, and finally forging the axe. 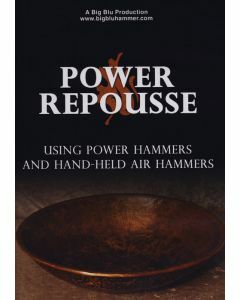 Power Repoussé DVD Oak Hill Iron Inc.
Total Run Time: 1 hr. 15 min. with menu access to individual chapters. 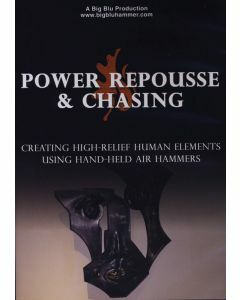 Power Repoussé & Chasing DVD Oak Hill Iron Inc.
~Creating an abstract himan face using hand-help air hammers.